Meet Kaiao Archer. If you’ve ever ventured to Maui and visited Maui Brewing Company’s brew pub, you may have spotted him manning the brewing system in the back. Kaiao is one of the very few locally born and raised brewers in the islands. He was born in Kealakekua, Hawai’i and grew up in Waimea. After spending a lot of his childhood in Saudi Arabia where his father was a teacher, his family moved back to Hawai’i where Kaiao graduated from Hawai’i Preparatory Academy in Waimea. College took him to Kapi’olani Community College and Chapman University, but he eventually made his way back to the Big Island, which is where his brewing career started. How did you first get interested in brewing beer? Did you start out homebrewing? I think it was a combination of large quantities of flavorless beer and not quite knowing what to do with my life. There really was a night that I looked at the beer in my hand and thought, “Someone made this. So can I!” I didn’t start out homebrewing, and have only done it a handful of times. I started off cleaning kegs while I went through the Craft Brewers Apprenticeship program offered by the American Brewer’s Guild. Do you remember the first craft beer you had that changed your outlook on beer? I think the first two beers (not “craft” in particular) that changed my outlook were Redhook ESB and Newcastle, to be honest. At the time, growing up in Hawai’i, most of us were drinking green bottles or domestic lagers, and the difference that a brown ale presented really was inspiring. What was your first job in the brewing industry? I started off cleaning kegs at Kona Brewing Company in 2004. How did you end up at Karl Strauss in San Diego and how did that time shape you as a brewer? By the time I made the move to San Diego to work for Karl Strauss, I was three years deep at KBC. My first production manager, Brit Antrim, strongly encouraged me to move on and broaden my craft beer horizons. He’s from San Diego, and kind of pointed me in that direction. There’s a lot of great craft beer and amazing brewers in that city, so it was the perfect place for a kid from Hawai’i with limited craft beer exposure to go. Working at KS helped round out my list of skills: pub/production brewing, filtering, etc. However, I think the best lesson I took from KS was the importance of balance in a beer. Any beer I try, I look for that balance. The same goes for any beer I create. What is your current favorite beer to brew and why? I’ve always been big on pale ales. I think what I like most about brewing them, is the fact that I love drinking them! I’m slowly trying to move away from my comfort zone, though. Just recently I released a maibock and a rauchbier, and I have a few new beers planned for the near future. How do you and the team at Maui Brewing decide what to brew on the pub system? Pub brewing is different than production brewing. It evolves constantly, and being able to adapt to the season as well as what’s pouring quickly is crucial. It’s also something I’m still trying to master, haha. For the most part, as the Pub Brewer, it’s my responsibility to determine what kind of small batch beers will be produced, and that decision depends heavily on what the consumer wants. What is the most popular beer or style at the brew pub? I’d have to say IPA’s and other hoppy beers in general, but Belgian’s are very popular as well. Do you work with the production team on testing new recipes that potentially will be the next distributed release? Do you use the brew pub system to test those beers? Yes, I do, although testing doesn’t always take place at the pub. The production facility is capable of doing a limited amount of small batch brews as well, and for beers that will possibly be packaged it’s sometimes better to brew the test batch on the same system that will brew the scaled up version. Simcoe and Centennial are constantly battling for the top spot. Both are awesome hops. The brewpub is known for working with a lot of unique local ingredients like onions, breadfruit, etc. What is the next special ingredient you are looking to brew with? Well its summer time, so I’ve been thinking about using some local fruits. Not sure what yet. Are you excited for the new brewing facility and restaurant in Kihei? Yeah! The layout for the new facility looks amazing, I can’t wait to get some brews in on that system. What is your favorite style of beer to drink? The beers coming out of Big Island Brewhaus on Hawai’i Island are awesome, can’t go wrong. I like to drink pale ales or IPA’s, so try their Paniolo Pale Ale or their Overboard IPA (which just won Gold at US Open Beer Championship!). How have you seen the craft beer community change in Hawaii since you’ve begun brewing and where do you see it headed in the next 5 years? 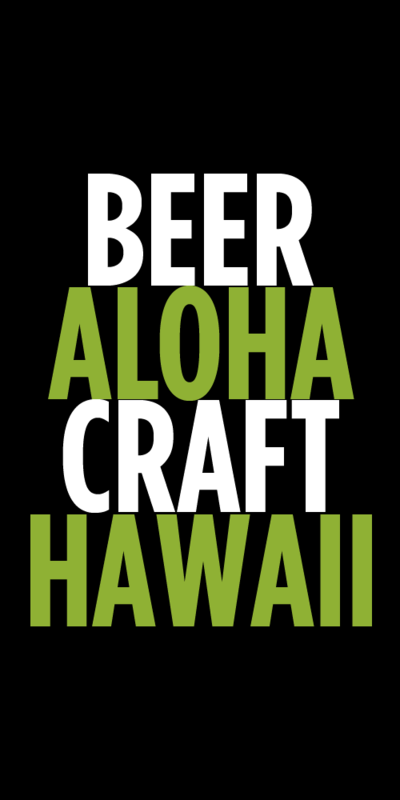 I’m very proud of the progress we’ve all made regarding craft beer in Hawai’i. When I started in 2004, the craft beer selection was extremely limited. Now, with the help of places like REAL a Gastropub on O’ahu, and Humpy’s Alehouse on Hawai’i Island, local consumers are being exposed to a wider variety of craft breweries. And as a local boy, I’m totally stoked to see other locals enjoying beers that don’t just come in green bottles. The next 5 years will be interesting. 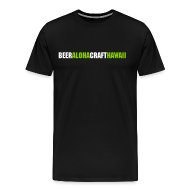 I think with new breweries opening up and a few established breweries expanding, there is a lot of potential for Hawai’i to really make its mark on the beer world. Are there any breweries or other brewers that inspire you and influence you? I’ve been fortunate to work closely with some very talented brewers. Tom Kerns at Big Island Brewhaus, Kim Lutz at St. Archer Brewing Company, and John Walsh at Jolly Pumpkin, just to name a few. They’ve all had a huge impact on my life, both personally and professionally, and they continue to support, and inspire me. Lastly, my former production manager/boss, Brit Antrim. I credit Brit with teaching me the brewing fundamentals that have gotten me where I am today. Tags: Interview, Kaiao Archer, Maui Brewing Company. Bookmark the permalink.